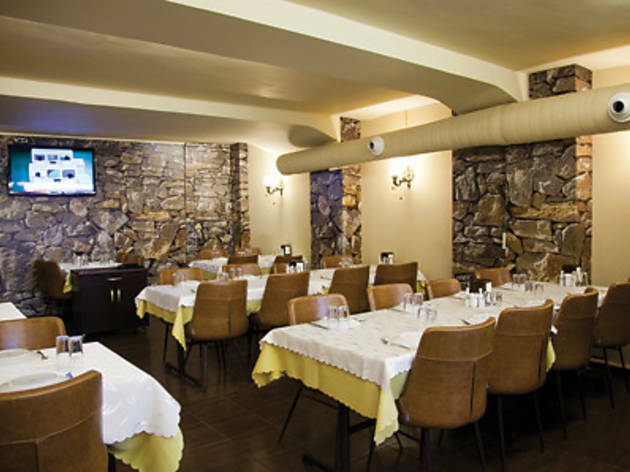 Metreli Kebap is located right at the start of the avenue that stretches behind Ramada Hotel in Pangaltı. As the name suggests, this restaurant offers Adana’s famous metre-long kebap. In fact, one of the founders of the venue is Sadık Usta, a figure from Beyoğlu’s Umut Ocakbaşı with whom kebap experts are well familiar. 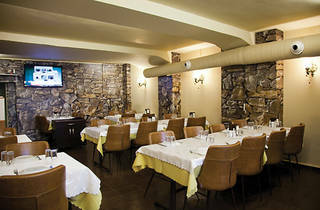 You can choose to seat yourself by the fireplace in the middle or at the comfortable tables. At some point shortly after you enter the eatery, you’re likely to meet one of the venue’s owners, Sevinç Gür, who greets diners who walk through the door as if they’re guests at her house. If you happen to further conversation with her, you’ll notice that she’s got the combined force of three mothers when it comes to convincing you to eat more than you think you’re capable of. The first dishes to arrive at the table are butter and balloon bread, and though you might be tempted to fill up on them, think twice. The meze that follow serve to test your level of greed; if you try to gobble just a few more, you won’t have room left for the kebap. They are all made fresh daily, with enough flavour and texture to distinguish them from the mass-produced meze you find at most kebap locales. Our absolute favourites are the patlıcan söğürme (fire-roasted, mashed eggplant), spicy spread, hummus with pastrami, tahini tarator (walnut and garlic sauce) and roasted onions with sour pomegranate sauce. The tahini tarator is a flavour that’s unique to Adana Metreli Kebap. It’s a good idea to save some of the onion with sour pomegranate sauce to enjoy with the meat. In addition to classics like Adana, Urfa, eggplant and tomato kebap, you’ll also find the venue’s namesake metre-long kebap, which we recommend ordering as an assortment of all the different flavours to fill both the eyes and the stomach of your entire party. If you’re intent on avoiding red meat during the summer, you can also try the chicken kebap. The best drink to accompany all this gluttony? A glass of rakı, of course.